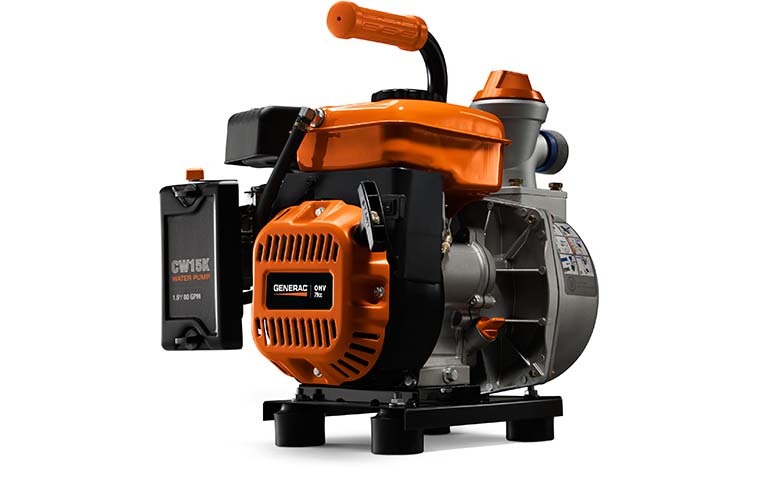 Powered by a Generac 79cc OHV engine, the CW15K delivers the high-flow capacity you need to take on most pumping jobs. Use it to remove standing water from basement floors, drain swimming pools, empty window wells, you name it. All in a lightweight package that’s easy to take where you need it.